As cataloging continues for Hubbard Park, three-dimensional ceramic puzzles are being assembled. 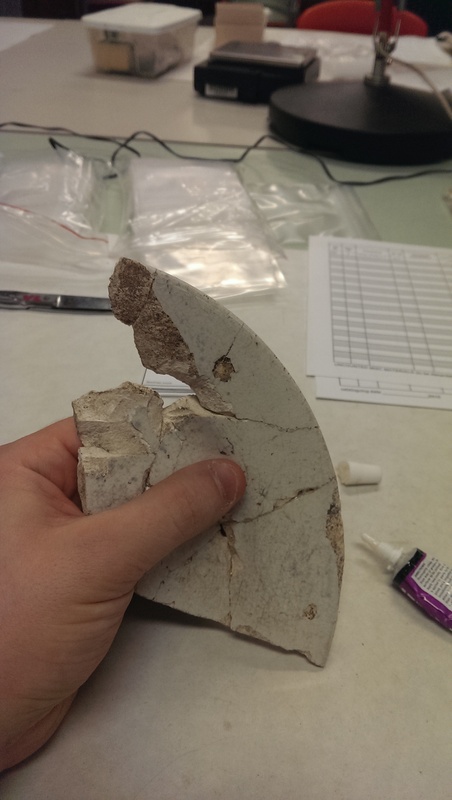 Many of the artifacts are broken pieces of plates, cups, bowls, jugs, etc. 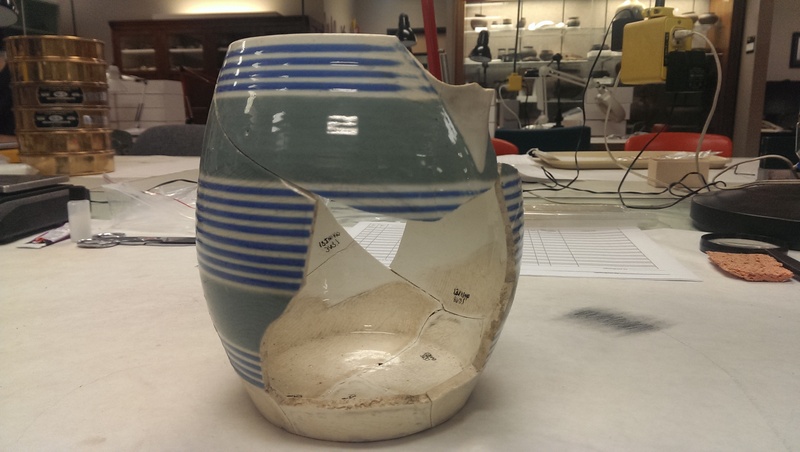 As we catalog, if we see pieces that fit together, we glue them together. This is done for several reasons. 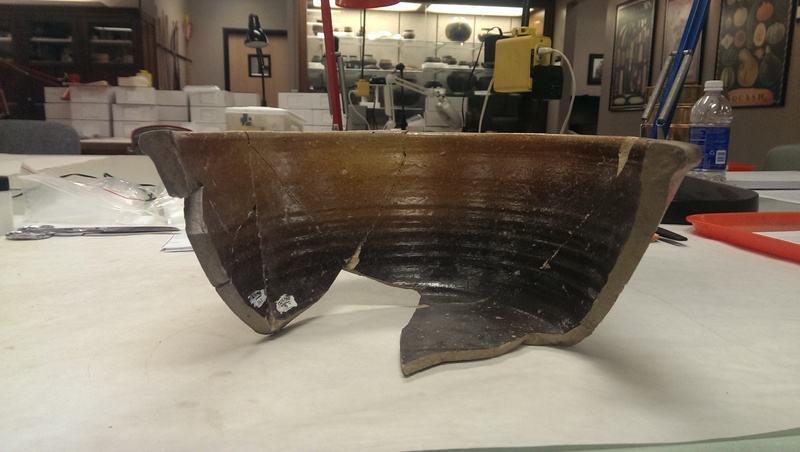 First, it tells us roughly how many vessels were recovered from the site. Knowing how many and what types of vessels are present tells us more about the people who lived there. Second, we learn about the activities that happened at the site. If two pieces fit together, but were recovered from different locations, then we know that the vessel was broken then pushed around possibly by construction activities. 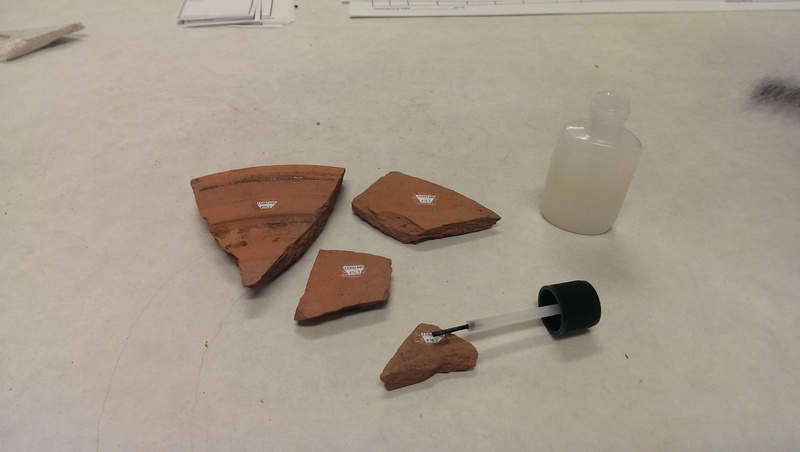 In comparison, if we found a bunch of broken pieces (called “sherds”) in one location at the site and they all fit together; we know that the vessel was broken and left there undisturbed.